As recently as the 90s the notion that you could run a successful business from the kitchen while you enjoyed your morning coffee seemed like the impossible dream for most. Fast forward 20 years though and wireless broadband, a billion websites and tablets with more processing power than was used to get men to the moon have made the dream of the home business an everyday reality. But while there’s a lot to be said for setting yourself up to work from the kitchen counter, there are still steps you’ll need to take to ensure your new business passes legal muster. Follow the steps below to set up your home business in a way that will ensure you don’t bring the wrath of officialdom down upon you. While most municipalities won’t have a problem with you setting up a home business, some might. In addition, there may be something in the bylaws of your condominium association that forbids you from using the property to generate income. 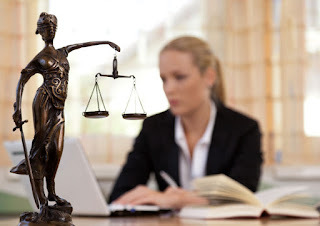 Once you’re sure you can proceed legally it’s time to move on to creating the actual business. No formal action is required to create a sole proprietorship. Keep in mind however that you may need some type of permit or license to operate any type of business out of your home. Choose Your Business Name: Your LLC name must A) be unique in your state, B) indicate that it is an LLC and C) avoid restricted words like “Bank”. File Articles of Organization: It’s the AoO that makes your business legitimate in the eyes of government. Different states require you file it with different governmental bodies and there may be a filing fee involved as well. Formulate an Operating Agreement: While not required by most states operating agreements are highly recommended for multi-member LLCs simply because they spell out who is what. Secure any Permits or Licenses: Each state will have its own requirements in this regard but it’s essential you follow through on this after filing your AoO. Shout it from the Rooftops: Some states require that you announce the formation of your LLC publicly. This typically takes the form of a notice in a local paper. LLC Taxes: LLC members pay tax via their personal income tax. Be aware though that while the Federal Government won’t tax your LLC income some states might. Sites that offer free hosting don’t usually offer unique domain names and something like “expertresearch.blogspot.com” isn’t going to cut it if you have designs on real success. Pay a few bucks and get a unique domain name and hosting package instead. Then hire a pro to design and build your site. It’s not as expensive as you think. If you’re going to be accepting payments online you’ll probably want a PayPal account linked to your bank account. Keep in mind too that there may be sales tax requirements in play so it’s a good idea to talk with an accountant about how those payments should be handled. Time was when a person could do pretty much whatever they wanted on their property. Those days, however, passed into golden memory around the time the horseless carriage first appeared on city streets. But that’s okay, because the steps you’ll need to take to set up your at-home business are not as daunting as you think they are. Just follow the above guidelines and you should be good to go.